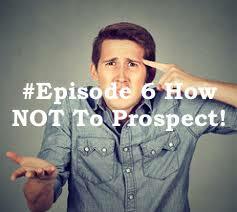 Home > Prospecting > Network Marketing Prospecting-How Not To Do It! I'm writing this post in the hope that the reader who is in Network Marketing will avoid the mistakes that many Network Marketers are making. Network Marketing Prospecting is a skill that we all have to apply. Leads are the lifeblood of our business, but if we do not know how to talk them, then your Network Marketing prospecting is not going to be very effective. You have to take out of your mind, that every person you see or speak to are $ signs to make you money. If that is all you see when you are speaking to people, then your MLM prospecting will be so fake that people will see straight through you. I was talking with somebody on Facebook yesterday and it was pretty obvious that this person had no interest in me other than pitching me her business. The sad thing is there are hundreds and hundreds of people like that….. However, if somebody just takes the time to get the proper training their results can complete turnaround. They may be in a very good company with a very good product or opportunity but if their approach is completely wrong, all of that is irrelevant. One of the greatest skills a Network Marketer can learn is Attraction Marketing. This will cause them to start being hunted instead of them ALWAYS doing the hunting. How nice is it When prospects are actually looking for you are asking YOU about YOUR business. It just takes you to implement the right processes and be consistent with your activity. 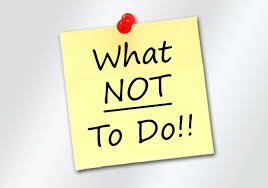 You need a DAILY METHOD of OPERATION (DMO), This will keep you on track and keeping productive. You also need to give people a reason to follow you and that is has to be outside of your opportunity. So a quick question to ask yourself is “How valuable are you” And “What value are you putting out to the marketplace”. Network Marketing prospecting is more than just pitching, when done correctly It is a beautiful process that guides people down the road until they knock on the door of YOUR opportunity. However as with any skill It needs to be LEARNED, Once learned it needs to be IMPLEMENTED and once implemented it needs to be DUPLICATED. So learn from the mistakes of others and don't go down that road yourself. If you know people who are struggling in their Network Marketing prospecting and if you feel that this post will help them, then please feel free to share it with them. I hope you got value from this.